Looking to start a shoal. Use to keep many types of fish in the past. Re: Looking to start a shoal. What species of Piranha do you have. Thanks for your enquiry. I had 6 red bellies in a 180 tank for about 6 years. Before that I had 6 tanks going when I was in School. Always freshwater usually Cichlids. Have been away from the hobby for a while. Have been looking and would like to start a Piranha tank again. I am not too familiar with using the computer in this forum. One time a few years back I dabbled with doing a Swap- Hunt (similar forum) and had many responses from Florida wanting to trade a gator Hunt for a Whitetail Hunt on my Ohio farm. The thought of going out at night on gator infested water didn't peak my interest. So I abandoned the sight. I am hoping some of the other members are not too far away. I have no problem with travel if needed. Especially when it comes to seeing someone's collection of fish. 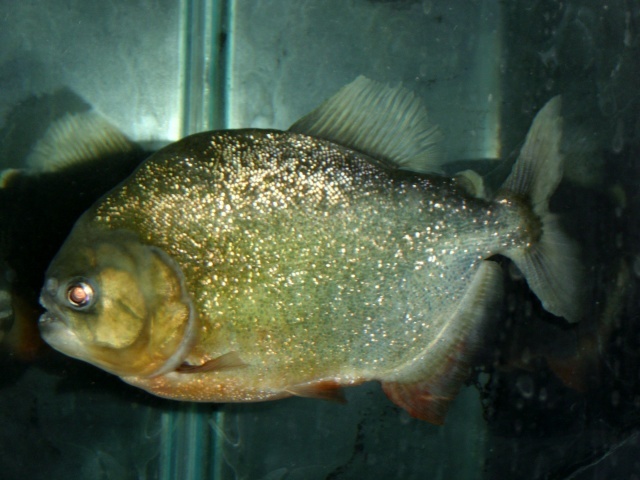 I use to keep Red Belly piranha, this is a great species for shoaling. Here are some picks of my old group. Very nice pictures! Can't wait to start up a tank. I see you are in Michigan. Went to South Manistique a few years ago for vacation in the U.P. Sam K. wrote: Very nice pictures! Can't wait to start up a tank. I see you are in Michigan. Went to South Manistique a few years ago for vacation in the U.P. Very beautiful up-north, can't wait to see you piranha pictures. from Italy and Australia. The Neo's were dangerous and when we found out we were having a son I downsized and started putting up fence and clearing land. We now raise a few Herferds (cattle). 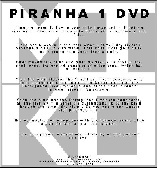 I am learning so much more about Piranha. Can't wait to get a tank going. I should have some by June. 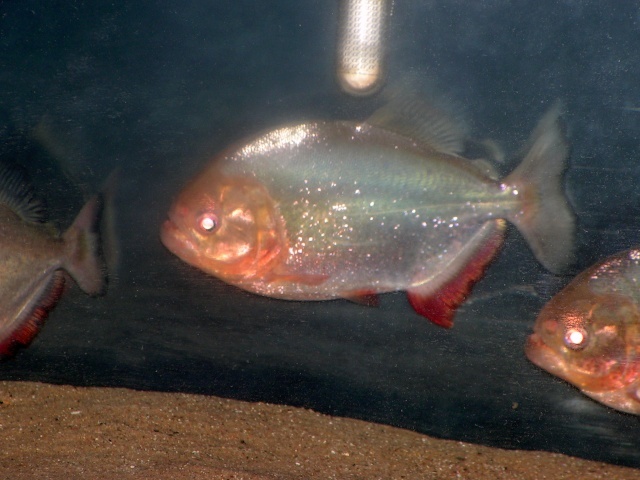 Have you ever considered keeping Serrasalmus species, they are some of my favorite piranha. 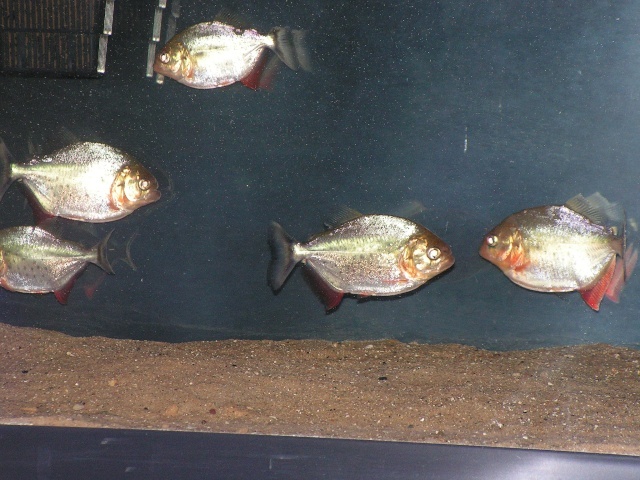 Once you set up a piranha tank we would like to see some pictures, post them on piranhafear first. I might consider serrasalmus species eventually. Are these fish usually kept solitary? For now would like to get Caribe or Piraya. I also like the Ternetzi. At least from what I read about them. Have you ever had any of these three species? Thanks for any help. I have had these species also, the Caribe are very aggressive. The Serrasalmus family would be better kept solitary. 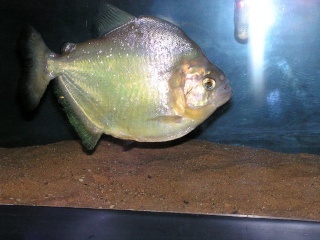 In my option all piranha in the home aquarium should be kept alone because we do not have enough room to house them usually. If you have a very large tank you might be able to get away with it, but eventually there are always casualties. I had a 180 gallon tank before. Do not want something that big again. Even empty it was heavy. I posted a question about a 75 gallon tank. Is it big enough? I also like a 90 same footprint just deeper. I am disappointed that the beautiful Caribe are so aggressive. Spouse likes pretty fish. So she liked the Caribe color. She has leverage but with compromise I will get my way. The last time I had Piranhas. I had 6 red bellies for 6 years before I sold the tank. Always had good luck with them. Want to try another Shoaling species which of these will I have less problems with. The Piraya, Caribe, Ternetzi and I am seeing one called a super red? Can you rank them in order. If you get the Red Belly you probably will have a better chance with them, they have been breed in captivity for some time now. Wild piranhas will be more aggressive, I'm not saying the other one wont work because hobbyist have had success with them, but long term you will have cannibalism I think eventually. Thanks for your thoughts. If that is a Maculatus picture with your reply they are beautiful! 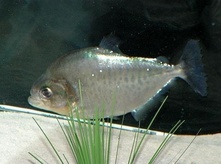 Yes the one in the picture was my old Maculatus, he was really rhomboid.